In this paper we introduce inheritance in deductive object databases and define an operator for hierarchically composing deductive objects with state evolution capabilities. 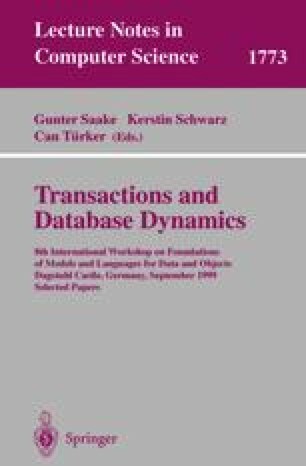 Evolution of such objects models the expected transactional behavior while preserving many important features of deductive databases. Deductive objects can be organized in ISA schemas where each object may inherit or redefine the rules defined in other objects. The resulting inheritance mechanism handles both the deductive and the update/transactional issues. Our framework accommodates several types of inheritance such as overriding, extension, and refinement. Besides presenting the language, this paper defines its semantics and provides a description of the interpreter for the language that has been implemented.